Android only: Why would anyone need a turn-by-turn navigation app for Android, besides Google's own built-in offering? Travellers and non-US users, for one, but also those intrigued by the OpenStreetMap project and its alternative local data. International coverage of streets is a handy thing for those travelling abroad, as well as anyone looking for a turn-by-turn solution while outside the US. But OpenStreetMap, with its user-contributed notable places, traffic/police warnings, and sometimes improved understandings of local traffic patterns, are worth checking out as well. 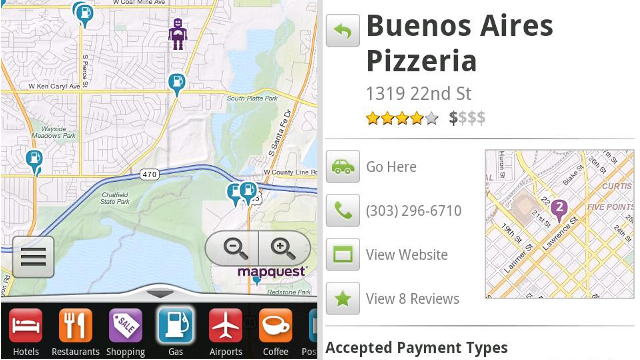 MapQuest's GPS offering is also an entirely free app for its lifetime, so you've got nothing to lose. I presume this is from the US site, because folks outside the Land of the Free should know that full navigation and turn-by-turn is available in Google Maps/Navigation in many other countries, such as UK, Australia, Austria, Belgium, Canada, Denmark, France, Germany, Italy, the Netherlands, Portugal, Spain, and Switzerland, and the Brut Mod of Maps will work pretty much anywhere. MapQuest is great and everything but you still need network connection to load maps. http://osmand.net/ allows you to use offline OpenStreetMap data in vector format. So you can download and use maps without network connection.